No matter how you access and use your systems - anywhere, anytime, across your devices - you will receive the same seamless experience and enterprise-grade security to protect your business and your customers. Businesses are seeing the benefits of helping employees work smarter together, automating cumbersome tasks, and using customer data as a factor in decision-making. Cloud and mobile solutions are becoming a means of transforming business processes and enabling new ways of work. 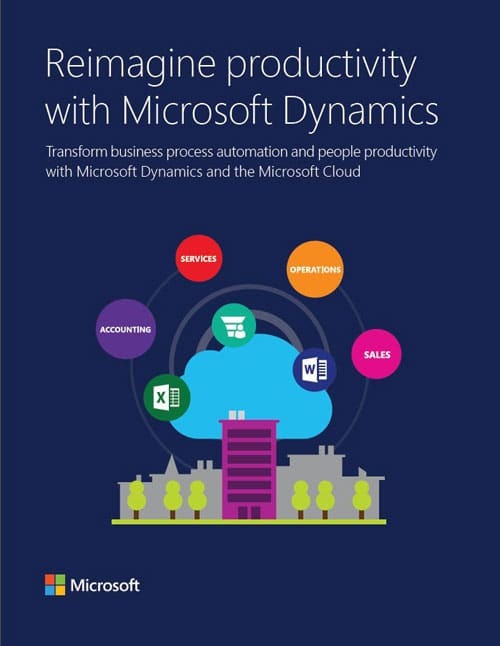 How to redefine business processes and reinvent productivity. 4 reasons to consider new business applications in the cloud. Key takeaways why businesses are turning to Microsoft to meet their modern business needs. How you can better connect with your customers using comprehensive data and connected systems. Just provide your basic information, and this guide is yours.